Uber and Lyft are used to getting their way–but they just lost a major battle in Austin. 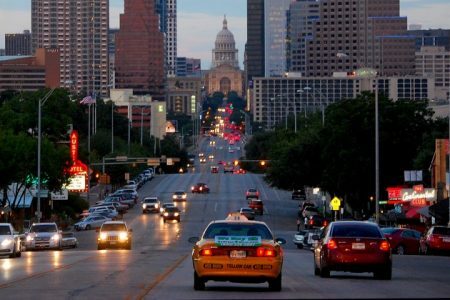 The two ride-sharing companies spent a record $8.1 million in a coordinated attempt to repeal the Austin City Council’s new ordinance requiring fingerprint-based background checks for Uber and Lyft drivers. That money couldn’t buy a win–voters in the Texas capital rejected the proposition on Saturday, 56% to 44%. And so on Monday, both companies pulled out of Austin in protest. Both Uber and Lyft made that political calculus when they chose to operate in New York City despite perhaps the most burdensome regulations for ride-sharing in the country. In addition to fingerprint-based background checks, drivers in NYC need a license to drive a commercial vehicle from the Taxi & Limousine Commission as well as commercial insurance. The companies put up with those requirements because New York City is the largest market for rides in the United States. (Uber also operates in Houston, which requires fingerprint-based background checks.) The future of ride-sharing in the U.S. depends on whether Uber and Lyft win enough of these local battles. To read more at Forbes, click here.